Is 380 a Self Defense Caliber? Hear Both Sides! Is .380 ACP Powerful Enough for Self-Defense? Is the 380 ACP Powerful Enough? Hey there, I’m Chris from Lucky Gunner, and this is make up your mind Monday. Today we want to look at the .380 ACP cartridge. We’re going to look at the different arguments for why it is or is not powerful or effective enough to use for self defense. Now this is a topic you could plug-in any number of calibers into that variable where the .380 is. And we probably will cover some others in the future, but I want to look at 0.380 in particular because there’s some controversy around it. It was a caliber that most defensive experts didn’t take very seriously, especially here in the US, until a few years ago, when it just saw this huge surge in popularity. So we want to look at whether that’s a good thing or a bad thing. It falls somewhere in the big gap, power wise, between a .22 long rifle and a 9 millimeter. Somewhere in that big gap would be .380. And a lot of defensive experts consider 9 millimeter to be the minimal effective caliber for self defense. Since .380 is significantly less powerful, it kind of gets left out. Well, a few years ago, a few companies started making these really small, compact, lightweight .380 pistols. And they got really popular on the concealed carry market because people couldn’t otherwise carry a handgun comfortably noticed that they could carry these .380s Just about anywhere. You could stick them in a pocket, or a purse, or an ankle holster. They would go just about anywhere you wanted them to. And when you may otherwise not leave the house with your gun, you could take the little bitty .380 with you. This new class of guns led to a rise in popularity of the .380 caliber. And so the big arguing for this is, if you can’t carry anything else, you can still carry a .380. And it’s reasonably powerful. You’re not carrying a little BB gun or something. It’s a real gun. And while it might be less powerful than some other options, the gun you have with you because you can carry it is a lot better than the gun you left at home because it’s too big. Also the other advantage is because of all this popularity, some of the ammo manufacture started to get on board and develop much better self defense loads for the .380. So you’ve got better expanding bullets and some that will penetrate a little farther. And so the .380 technology has come a long way just in the last few years. So where you may not have been able to take it very seriously a decade ago, some people argue that the technology has advanced enough to make 380 a decent contender in the self defense world. Now Despite all of this, the .380 still has a lot of detractors and people who just don’t like it very much and say it’s not a very good choice for self defense. They will point out that it’s still just not that powerful. Even with the better technology, if you look at the stats for penetration and expansion, it doesn’t go far enough to meet what a lot of people consider to be the minimally acceptable standard for testing in ballistics gelatin and other things like that. The .380 is still a lot weaker, and it’s not doing as good a job of penetrating through clothing or through other barriers, like some of the more powerful calibers. So .380 is still weak, no matter how you cut it. The other big argument against the .380 is the fact that after these little .380 pistols started coming out, a lot of those same manufactures started to make 9 millimeters that are just a little bit bigger. So if you can conceal and carry a small .380, with just a little more weight and bulk, you can probably carry a 9 millimeter. It’s really hard to make that argument that I can only carry a .380 if there’s a 9 that’s a lot more powerful and just a small amount larger. Another argument against .380 is that a lot of these really small pistols that people started carrying are actually pretty hard to shoot. The recoil is really harsh. They’re hard to shoot quickly and accurately. And so a lot of people who say they can’t carry anything else, they’re going to carry a .380, they may not be very good with it. And so there’s a case to be made for getting a slightly larger gun that compensates for the recoil a little more because it’s got a little more weight to it. And so that way, you could be more effective if you actually have to use the gun in an emergency. And if you’re going to use a larger .380, like, say, a Sig P232 or one of the old Beretta Cheetahs, those are nice guns. They shoot really well. But these days, there are 9 millimeters that recoil about the same, and are about the same size. So why would you go with a .380 when you can have more power in the same package? All right, that covers the basics of the .380. If you’ve got anything to add, please let me know in the comments. And if you’re shopping for a .380 or have that in your wish list of guns you might be considering in the future, let us know what conclusion you come to and how you got there. Hopefully, some of these arguments will make sense to you, and you can use them to sift through some of the other information that’s out there and make up your mind. Ever since Ruger started selling LCPs by the truckload back around ’08, a question that many believed to be a settled matter was thrust back into the spotlight; Is .380 ACP just another underpowered “mousegun” round on par with the likes of the diminutive .25 ACP, or is it a serious caliber for self-defense, worthy of trusting your life to? We could ask this question of any number of “marginal” self-defense calibers. 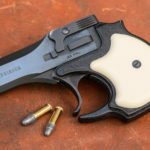 But each caliber has special issues to consider, so rather than trying to establish the One True be-all, end-all, one-size-fits-all “minimum” caliber, we’ll tackle .380 by itself and present the pros and cons as best we can. Before we venture too far into the dangerous territory of caliber debates, let’s remember a couple of things right up front. First, handguns are pretty crappy at stopping bad guys when compared to rifles and shotguns. Comparing the raw effectiveness of .380 ACP, .45 ACP, and 5.56 NATO is like comparing a cheeseburger from a high school cafeteria, a Big Mac, and a perfectly cooked medium rare Angus Filet. Sure, there’s a big difference between those two burgers, but they are just not in the same league as that steak, even though it’s all beef (in theory, at least). The “one shot stop” handgun is a myth. 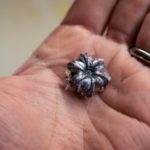 In the real world, they do happen on occasion, but no handgun caliber can deliver that kind of power consistently and predictably enough that we should depend on it. Handguns have the advantage of portability, but it’s always a trade-off of size and accessibility for effectiveness. To stop a determined attacker with any handgun, assume that multiple hits to a vital area will be required. As the cliché goes, “shot placement is king.” The number on the slide of your pistol is not nearly as important as possessing the skill to fire accurately under pressure, and the ability to exercise good judgment on when to pull the trigger. Lucky Gunner is heading to SHOT show!